This year is not starting on a high note for DJ Junior De Rocka, who is also Ntando Duma's baby daddy. Just last week the DJ saw his racist accusations backfire, after he was accused of having arrived late at a booked gig. And just when we thought the dust had settled for the DJ, his baby mama hung his dirty laundry for all to see after accusing him of being an absent father. 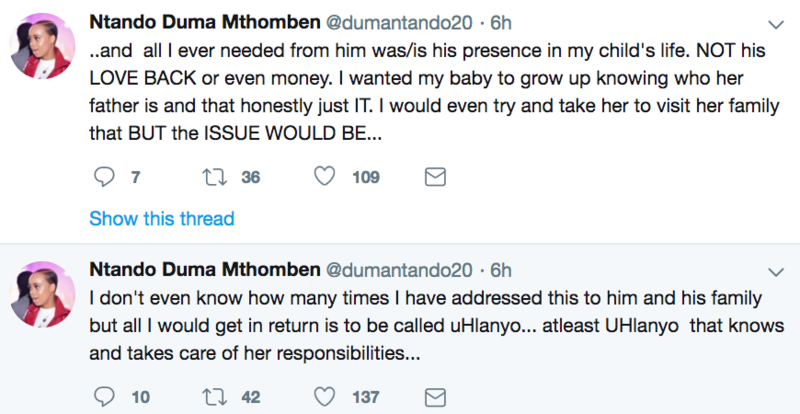 Ntando's Twitter rant about Junior's actions began when she questioned why someone could be so invested in other facets of their lives, but not in their own flesh and blood. She tweeted: "How does one have so much audacity to give back and invest so much to an entire community when they can't give back to their own children?" Ntando then further exposed the DJ by claiming that he has become too comfortable with his actions and not stepping up as a father. "The issue is that he knows for sure he's always safe with me. He knows he's always protected. He is just comfortable. He knows I won't say much cause I'm also not trying to bring attention my way but how then are you as a woman/Mother protect someone who never finds it. "...a priority to do the same for the mother of his child and the child. A simple phone call to check up on his own blood is VERY difficult but way too easy for him to make appearances for thousands of kids and even PROVIDE for them. Ngibekezele kwanele." Wow, this is actually the first time we've seen Ntando speak out about Junior's supposed poor role as a father, she has always placed him in a positive light. The actress further stated her disappointment at Junior as she had a lot of faith in him - all she's ever wanted from Junior was not his love or his money, but his presence in their daughter's life. Ntando and Junior broke up back in 2017. 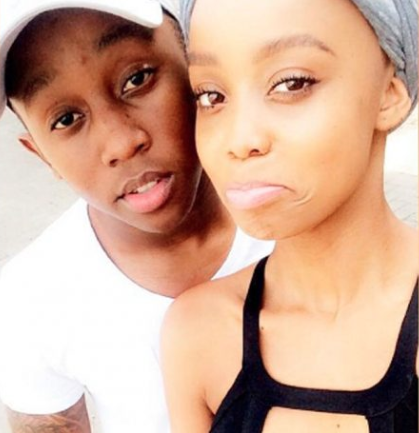 During an interview on Real Talk with Anele, Ntando revealed that she thought her relationship with Junior would last forever. "I am glad that I can speak about it now because at first I was so crazy and in denial. Because he was my first, I really thought he would be my last. I saw a future with Junior. Unfortunately things didn't work out." Although she never revealed in detail the the reason behind their breakup, she did however, mention that there was a point in their relationship where she was just "tired of fighting". Hopefully the young parents will be able to sort out their differences for their daughter's sake.